Help, I can not use VBar Control Manager on a Mac, since Java JRE is missing ... what can I do? Help, my VBar Control tells me ''No System Config' ... what can I do? The protective rubber cover on my VBar Control keeps falling out, what can I do? Do I have to leave Apps enabled all the time? Does VBar Control also work with airplanes, cars, boats, non-VBar-helis? Will there be an App for retractable landing gears or other special functions? Adjusting parameters 'on the fly' ... come again? How to bail out with an external governor like a Kontronik? My VBar Control does not provide receiver voltage display! The receiver voltage is displayed wrongly! 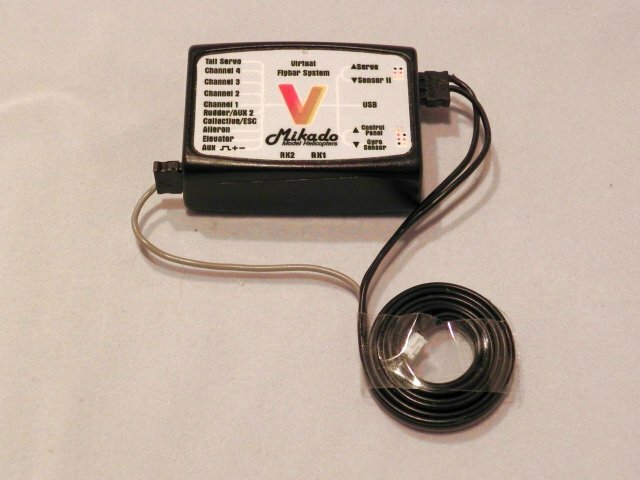 How does the voltage/current sensor work? 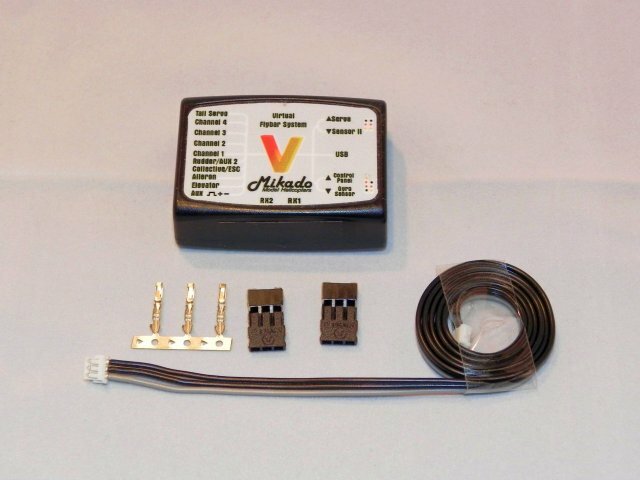 How to connect telemetry sensors to a VBar w/o Spektrum ports? I am moving the tail stick in opposite way as usual – what to do? The clock is not being updated, what can I do? I am doing multiple flights with timer and turning on the heli once. How to reset the timer? Mac OS, by default, offers a download link at the first start of a Java application on the computer. This link leads into digital nirvana at times, when Apple has moved the actual file like it happened in Winter 2014/15. Here you find the current link. Please install, then both VBar Control Manager and the VBar Software will work (again). No problem, keep calm. Usually you only need to connect VBar Control to a PC or Mac, start VBar Control Manager and wait for the files to be transferred again. Attention: all data on the USB drive will be deleted, only format the USB drive if all other means to recover it have failed! Now, VBar Control will be installed completely from scratch, this will take some time, depending on which and how many Apps you had selected earlier on. Check the Transmitter Settings again (Stick Mode, Calibration, Mandatory and Optional Switches). These settings will not be deleted, but better safe'n sorry! As a quick remedy, you can ﻿carefully ﻿squeeze the rubber cover. After that, it will hold firmly. 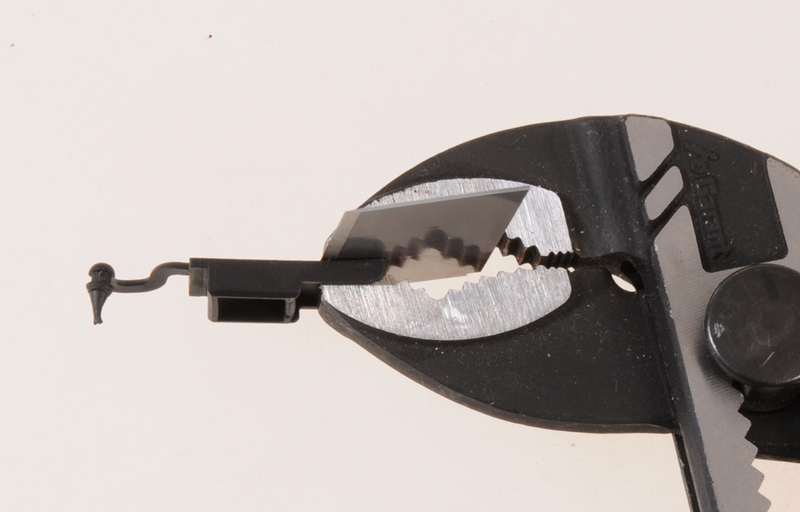 Use flat pliers or a metal plate as a flat surface, as not to imprint the surface of the tool on the rubber cover. Do not squeeze too firmly, better try a few times until the protective cover holds firmly. Please contact us if you want a replacement free of charge. We will ship them out once they come available. With our receiver product VBar NEO VBasic, you can radio-control everything which can be radio-controlled. 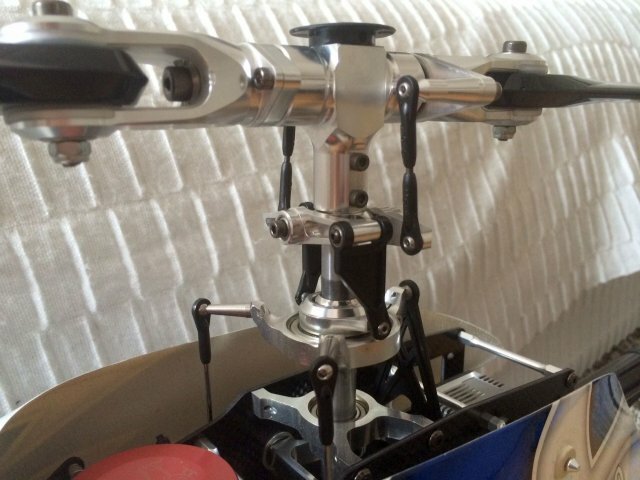 On some helicopters we will find a lever between swashplate and main head. This lever reducres the throw - and also reverese the collective direction. VBar Control has to know the direction for collective, it is usually set with the "leading/trailing " control of the blade grips. In this case - it must be set vice versa as usual. A simple help: Everytime when the swash has to go up for positive collective - it is "leading" control in set up. Other leads interfere with the measurement. Those measuring elements may not be built in anywhere. Magnetic measuring also shows notable parasitic errors (hysteresis), and they are not fully linear. The advantage of galvanic separation is lost however, if you want to measure voltage as well, with the same sensor. 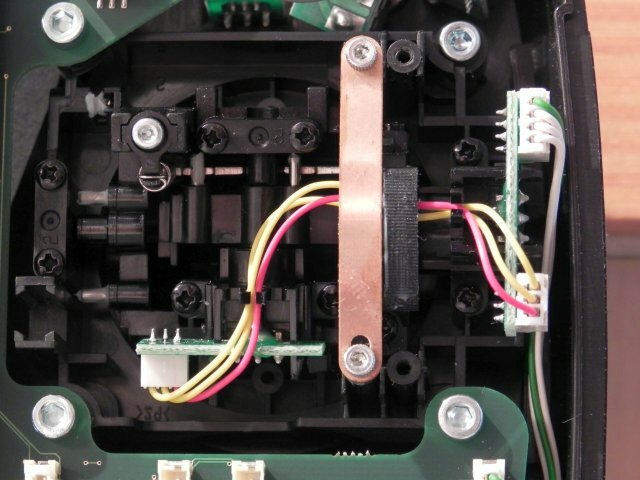 The interernal resistance is comparable to the one in the sensor element we use, and individual calibration is necessary for both as well, if you want reliable results. Our sensor uses a more complex method. A very small resistance (shunt) is placed in the measuring circuit. This resistance is as little as a few cm of wire with a considerable gauge. It does not interfere with the electric circuit. The sensor is fed by the flight pack, and it only draws 2.5 mA of current, which is very little. The galvanic separation is realised by an optocoupler in the digital interface, and thus allows for a 100 % galvanically separated voltage measurement. The shunt itself is a very short measuring section made of a special material that does not suffer from temperature interferences (very much like constantan). This way, the results are very precise even if the circuit gets hot. The resistance has tiny taps that you can see from the side, to avoid interference from electrical leads. Each sensor has it's own cpu which also stores the individual calibration. At the factory, each sensor is calibrated to a precision of 0.05 % with regard to the measuring range. 16 bit resolution allows for measurements as precise as 0.01 V / 0.01 A throughout the whole measuring range. Quiet easy. We'll power the sensors from the (regulated) Sensor2 connector. 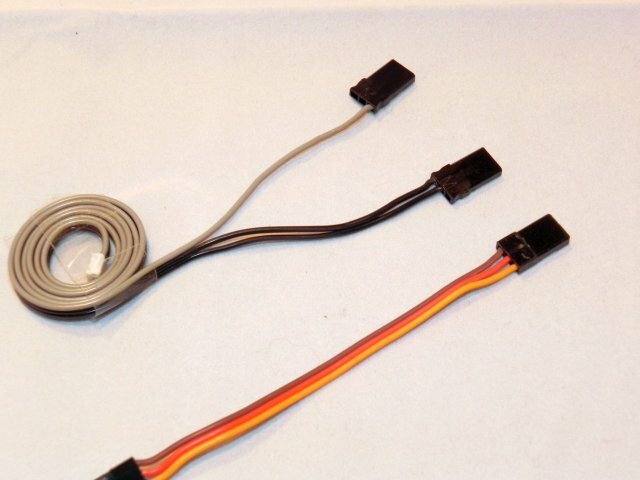 The mid black wire of the sensor cable is the minus wire (connect to Sensor2 outer pin), the outer black wire is the plus wire (connect to Sensor2 mid pin). The grey signal wire must be connected to AUX - bottom (signal) pin. I am moving the tail stick in opposite way as usual - what to do? The VBC software has currently no flag for "reverse tail stick usage". 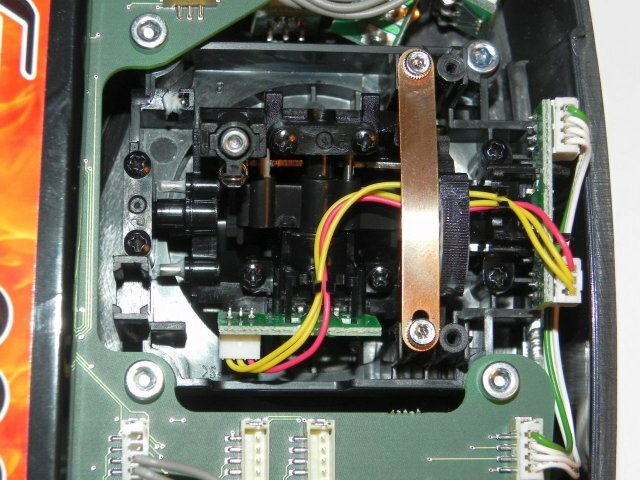 So we have to change the pot wires inside the TX. Therefore open the TX, identify the tail pot and its short cable from the pot to the small board at the side. Unplug it there, remove the 2 outer plugs from the housing (carefully, use a needle to unlock the plugs). Swap them and mount everything together again. Calibrate the rudder stick in TX menue - and do some bench checks with your models. 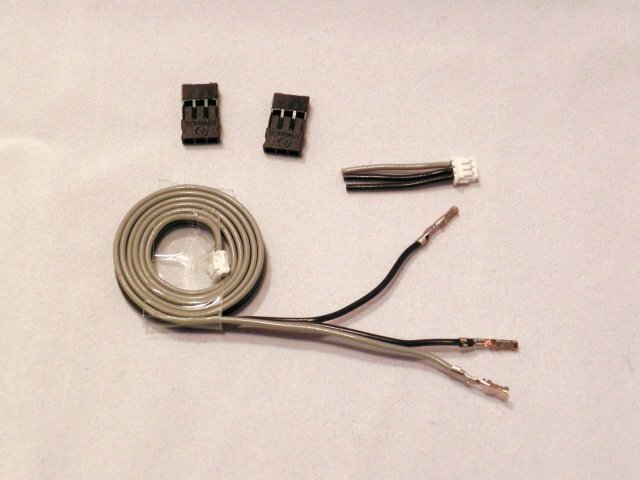 Connect your VBar Control to your computer using the USB cable. Open a Command Window on Windows (Programs/Accessories) or a Terminal Window on the Mac (Utilities/Terminal). Go to the drive of your VBar Control, e.g. type the drive letter G:, if in doubt, check the Windows Explorer, then type 'del sys\command'; on a Mac, change directories by typing 'cd /Volumes/VControl/sys', then type 'rm command'. This deletes the command queue, which is sometimes locked by the operating system. It will be newly created automatically. First - the timer can be reset manually in its panel. Some guys asked to add a switch to reset it - but it is definitely better to turn the heli off in between the flights. The reason is imple - and technical: Each sensors have a little amount of drift for several reasons (e.g. temperature, vibrations). So - although this effect is compensated (within some limits of course, otherwise precision will be lost) - it will be best to restart the VBar for each single flight seperately.